Epigallocatechin 3-Gallate is an ingredient that has a very long name that is very challenging to pronounce, but that has still managed to gain a great deal of media attention due to the promising research that has been conducted on its use. Many people shorten the name of this ingredient to simply EGCG in order to make it easier to pronounce and to remember. Scientific and medical studies have shown that EGCG has a broad range of different types of potential health benefits. Among them has been its promotion of healthy weight loss when combined with proper eating and fitness appropriate activity levels. 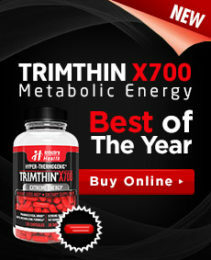 This has made it an attractive choice as an ingredient in many over the counter weight loss supplements. 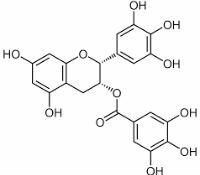 Epigallocatechin 3-Gallate is an antioxidant that is found in green tea. Most frequently, it is associated with improving the repair of cellular damage, decreasing the risk of certain cancers, improving overall heart heath, and bettering the ability of the body to be able to lose excess fat when it is a component of a complete healthy weight loss program. A scientific study that was published in the Journal of Medicinal Food, “Green Tea Extract Thermogenesis-Induced Weight Loss by Epigallocatechin Gallate Inhibition of Catechol-O-Methyltransferase,” (2006) showed that EGCG is a catechin. This is a substance that helps to promote thermognesis, which is the creation of body heat. The use of EGCG can lead the body temperature to rise, causing it to burn through more calories and fats as fuel for that warmth. Other research has shown that thermogenics can be effective in increasing the results of cardio workouts in terms of the overall fat burning that can result. Another study, this one called “Modulation of Endocrine Systems and Food Intake by Green Tea Epigallocatechin Gallate,” (2000) from the Endocrinology journal, suggested that when EGCG is taken regularly, the user’s appetite can shrink by a meaningful amount. When hunger pangs are decreased, it makes it easier for a dieter to be able to eat less food – and, therefore, fewer calories – which will in turn make weight loss less challenging. More research was conducted on the use of EGCG by people who were obese. That was published in the Journal of the American College of Nutrition and was entitled “The effects of epigallocatechin-3-gallate on thermogenesis and fat oxidation in obese men: a pilot study” (2007). It supported the earlier study that thermogenesis results from the use of this substance, but it also indicated that fat oxidation also improves following meals, meaning that the body fat is not only burned more quickly, but also more easily. The Journal of Nutrition published a study “The Major Green Tea Polyphenol, Epigallocatechin 3-Gallate, Inhibits Obesity, Metabolic Syndrome, and Fatty Liver Disease in High-Fat–Fed Mice” (2008), which was only conducted on mice, but proved to be quite promising as it suggested that the use of this ingredient could reduce the symptoms of metabolic syndrome and fatty liver syndrome. Those conditions can make it more of a challenge to lose weight, and can make it much easier to gain. By reducing the symptoms, dieting can become notably easier.